sunset alpenglow on Mt. 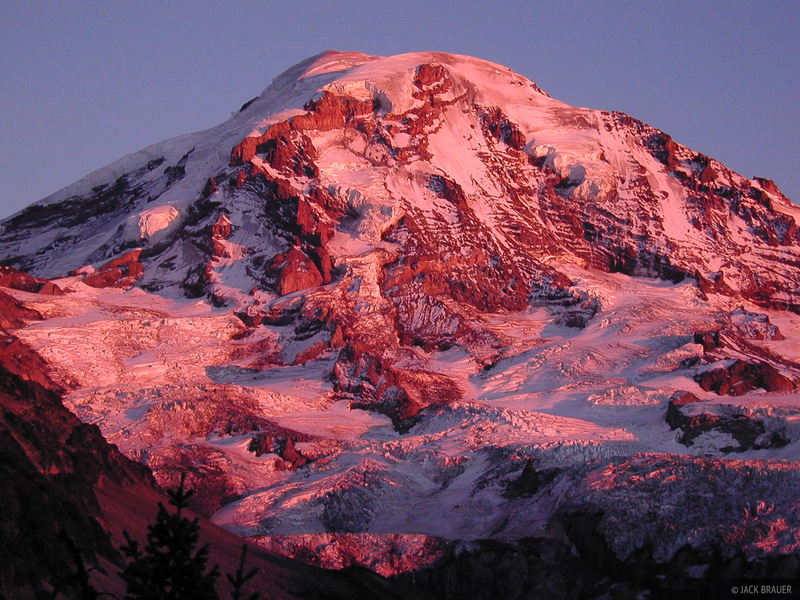 Rainier - 14410 ft - October. Photo © copyright by Jack Brauer.